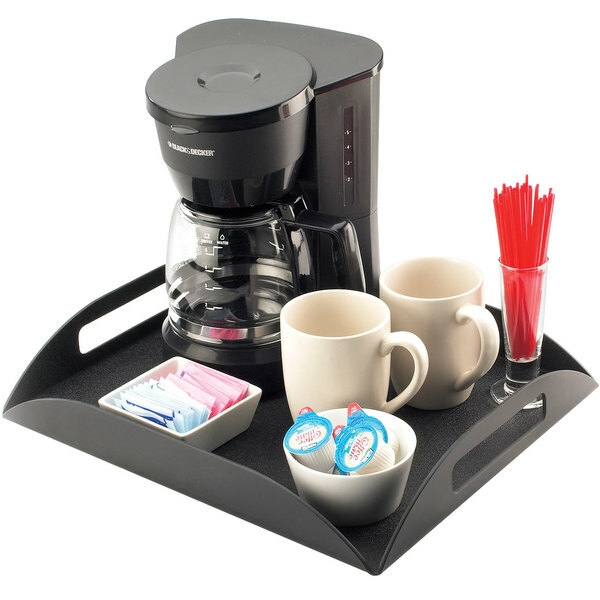 This Cal-Mil 353-13 coffee amenity tray can be used for just about anything! 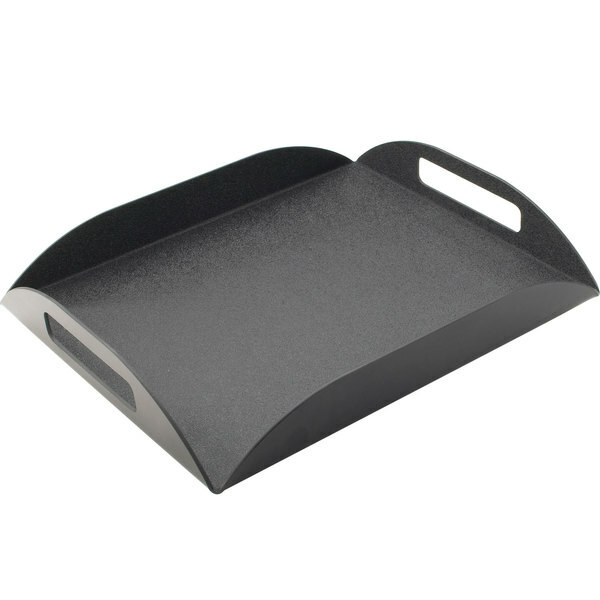 Featuring two handles, the Cal-Mil 353-13 coffee amenity tray works great as a room service tray at your hotel or spa. You can even use it for serving coffee and tea at your cafe or hotel breakfast bar. 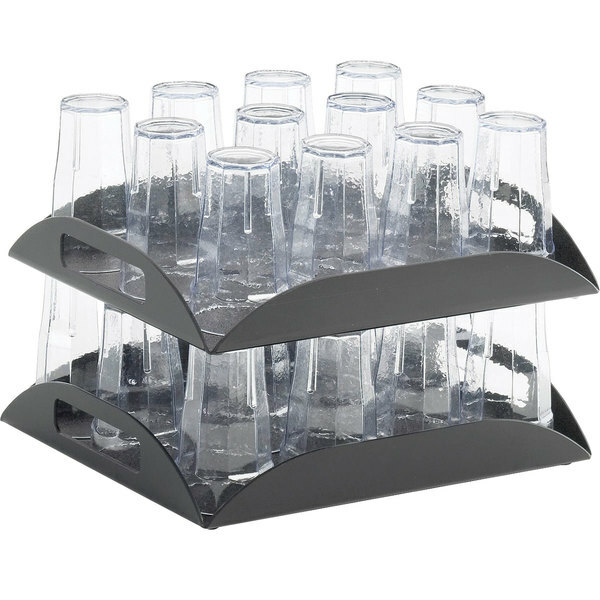 Made of durable ABS plastic, the Cal-Mil 353-13 tray can also be used as a glass stacking tray, to transport glassware at your buffet or banquet hall. Unlike metal trays that can sustain dents, this hard plastic tray will retain its shape for long-lasting, high-quality appearance. These are good trays for carrying condiments and drink additions like sugar and cream!! A great tray for room service orders!! Pretty large size and nice handles! !